British Supermarket chain Asda have caused an uproar in the football kit world this week. 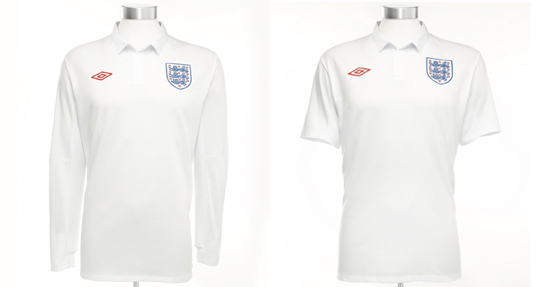 The popular supermarket chain has, starting today, begun offering the England Home and Away shirts for the World Cup at half of it’s Recommended Retail Price (RRP). 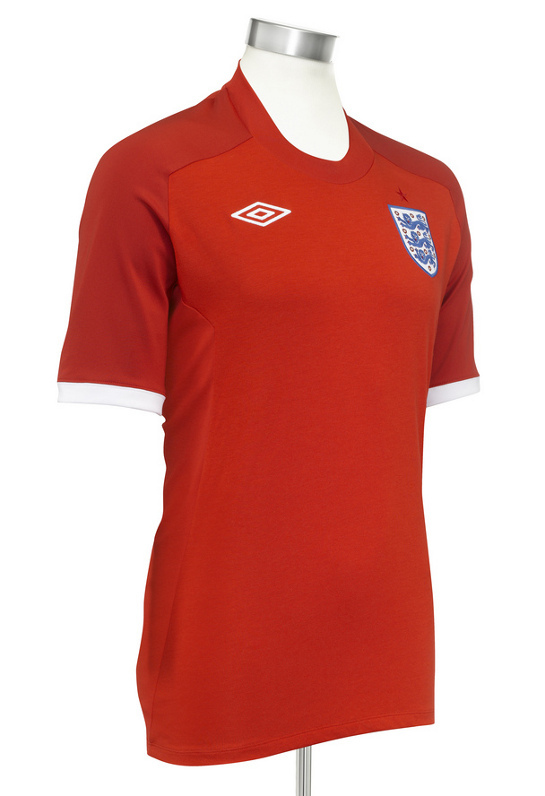 The Umbro England shirt was a source of controversy upon launch, with it’s £50 price tag being a serious bone of contention for British football fans, who already feel they are paying well over the odds for replica football shirts anyway. Asda have bought 45,000 shirts (Just over half the capacity of Wembley Stadium!) on what’s known as the ‘Grey Market’. 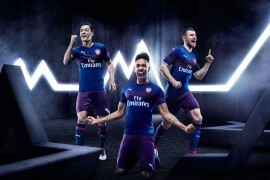 This means that Asda has used it’s leverage as part of a multi-national family of stores (all part of the Wal-Mart group) to buy from alternative suppliers in France, Germany and Spain (Where England Shirts are cheaper and less popular) as Umbro refuse to supply the Supermarket directly. Asda said: ‘We’ve got 48,000 shirts in total – 36,700 of the home shirt and 11,300 of the away red strip. ‹Ĺ›We will sell 4,000 of the shirts on our website and the rest will be distributed across our 259 stores in England. ‘We’re selling them for £25 which is half the price of the recommended retail price of £49.99. ‘It’s taken us over three months to secure the shirts after Umbro refused to supply to us. Andrew Moore, the managing director of George at Asda, also commented: ‘We need to call time on the extortionate cost of football shirts. ‹Ĺ›Shoppers shouldn˘€žËt be asked to break the bank to support our boys and we think it˘ time we blew the whistle on rip off merchandise. He added: ‘The World Cup will be the biggest sporting event of the year and we wouldn˘€žËt want fans to miss out on having a piece of history because it was too expensive. 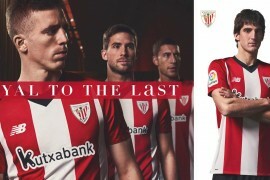 Footy-Boots.com can confirm that despite their Grey Market origins, that these shirts are, of course, the genuine article as opposed to a knock-off. However, we recommend that anyone who wants one gets a serious move on – at such a limited quantity you know that these are going to sell out ridiculously quickly. It’s a bold move by Asda – here’s hoping they capitalise on this business plan and start offering half-price football boots sometime soon!